I’ve been on the road (or up in the air) for the past three months, meeting the “green people” – people deeply involved in green urban infrastructure. From old foxes to young enthusiasts who want to make difference in the green industry. Great people, and great creative minds! And we all share a common goal – to make our cities greener, healthier and more comfortable places to live – for everyone. According to the latest studies, there will soon be 9 billion people inhabiting the earth, with two- thirds of them living in mega cities. In order to prepare for this, we need to think about proper Urban Green Infrastructure now. 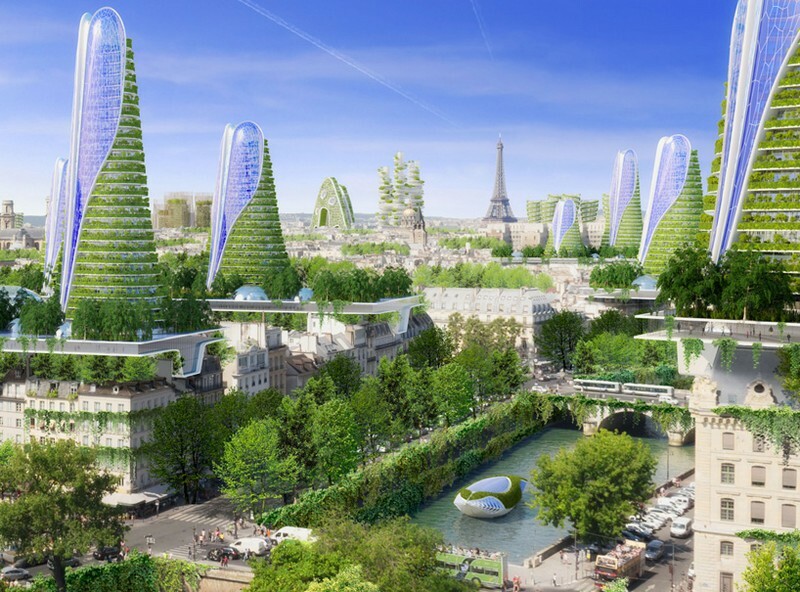 If fully vegetated cities seemed like a futuristic idea just a few years ago, they are now already becoming a reality that is fast developing, and all major cities are now including the green urban dimension to all future urban development plans. In October I was honoured to take part in the big Singapore Landscaping Architecture Awards Ceremony organised by SILA (Singapore Institute of Landscaping Architects) where designers who have taken big steps in the development of landscape, environmental and urban design are recognised and their works presented and awarded. The main figure behind the event was Mr. Desmond Lee, Singapore’s First Minister for Family and Social Development and Second Minister for National Development. During his talk and discussions with event participants it was clear that Singapore has a vision of the way forward – they recognise that vegetated (green) cities, together with environment protection and smart green urban infrastructure, bring better living conditions and quality of life for families living in the city, and which consequently has a decidedly positive effect on Singapore’s national development. And these weren’t just more pretty words… In my opinion, Singapore as a nation is the leader when it comes to Urban Green Infrastructure. Urban Green Infrastructure is embedded in their laws, but also in the mindset of the people and (what I really like) they seem to be very focused on taking care of important, specific issues with which they may be faced in a very thoughtful, well-ordered way. Currently, stormwater management is high on their agenda. It’s not that there’s so much more rain, but the severity of storms has increased. The main challenge now is how to manage excess water so that it doesn’t cause flooding in the streets, while another big challenge lies in how to store big amounts of rainwater for use in the dry season. 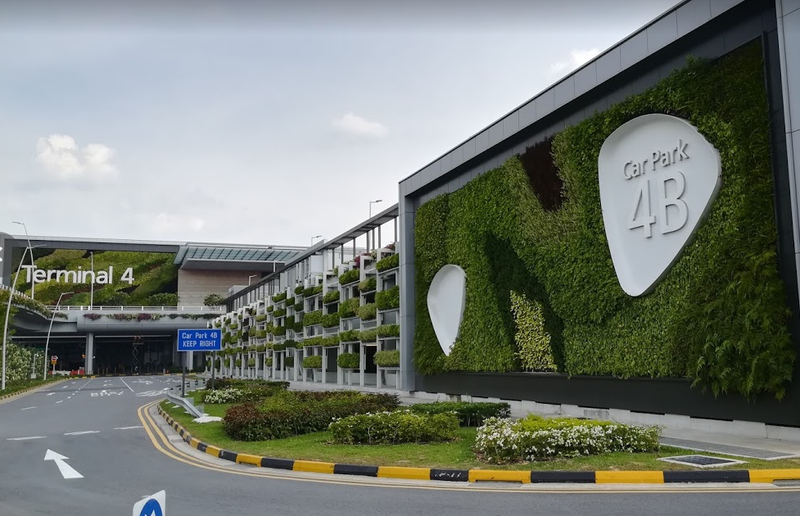 The laws in Singapore today have already been adapted so as to help solve those challenges by properly implementing Green Urban Infrastructure. Today every contractor/builder needs to fully compensate for any land degradation that results from a building project with real vegetated areas. So if 70% of the land in use will be covered with a building, parking and paved surfaces and only 30% will be left green, then an additional 70% needs to be greened elsewhere. Singapore is working to solve this with green roofs, green facades, green parking spaces…. Laws like this can be demanding for investors, but at the same time they are also drivers for innovation, as they compel stakeholders to look for new, creative and innovative solutions. Green roofs and Green facades are just one part of the story – further development can also be seen on the ground. Underground cisterns are being replaced by innovative landscaping solutions that are not only helping to prevent floods by storing water, but also focus on bioremediation as one of the most effective ways of cleaning water that comes down from the streets, parkways and similar. Like Singapore, big cities around the world are facing similar environmental issues. Europe, North America and Australia are all trying to follow routes like the one Singapore is taking. Despite the fact that federal laws are not yet in place or not as advanced as in Singapore we are, however, lucky that municipalities and companies that are looking to be more environmentally friendly and sustainable have created their own guidelines and sustainability targets and are thus leading the green way forward. A good example (and there are already many) of the way companies can lead the way forward was pointed out to me by a colleague from Spain. The Spanish team has been working with AMPO (one of the world’s biggest producers of metal castings) to provide a vegetated roof that will make their new production facility more sustainable. 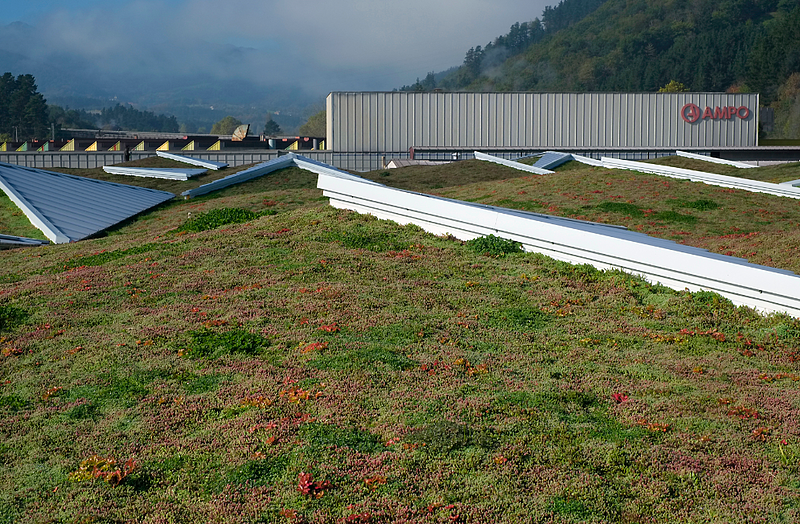 By means of a green roof design, they were able to lower storm-water pressure on the local sewage system by almost 60%, and at the same time reduce the impact of solar radiation on the building by as much as 80% during the summer months – not to mention bringing back a biodiversity dimension that was initially eliminated by this big facility. We see similar projects aimed at solving the same challenges in Scandinavia, the Benelux countries, Germany, the USA and Canada, where cities like Stockholm, Hamburg, Washington DC and Toronto are but a few examples of how municipalities are leading the way forwar together with corporations that understand the positive effects of Green Urban Infrastructure on people’s living and working standards. I can see that governments around the world do recognise the fact that there is a real need for a more coordinated approach when it comes to Green Urban Infrastructure. Big cities are becoming more densely populated, and if governments won’t lead with a clear position on Green Urban Infrastructure (on a global level), we will be overrun by buildings and roads, which consequently leads to uncontrolled storm-water, overheating, poor air quality and more. I would really like to see more intense political involvement on the national level. In my opinion, the big advocates of Urban Green Infrastructure will still be municipalities, as they are responsible for the well-being of their residents – but governments should also be taking action, should provide clear regulative frameworks to key decision-makers and create effective guidelines for investors on how and where to implement sustainable green solutions for best results. In June I was speaking at an informal meeting of EU Energy Minsters on the topic of Urban Green Infrastructure and how it can help in the effort to achieve energy targets for Europe. After the presentation I received some feedback – they would like to move forward but don’t have sufficient proof that such a solution really works. Interested in Urban Green Infrastructure the Urbanscape can offer? Need to check Urbanscape Green Roof Systems? Visit our website www.urbanscape-architecture.com, send us an e-mail to urbanscape@knaufinsulation.com or download our brochures below.